Considering the kitchen is probably the most used room of your home, it’s important to have window treatments that are up to the task! 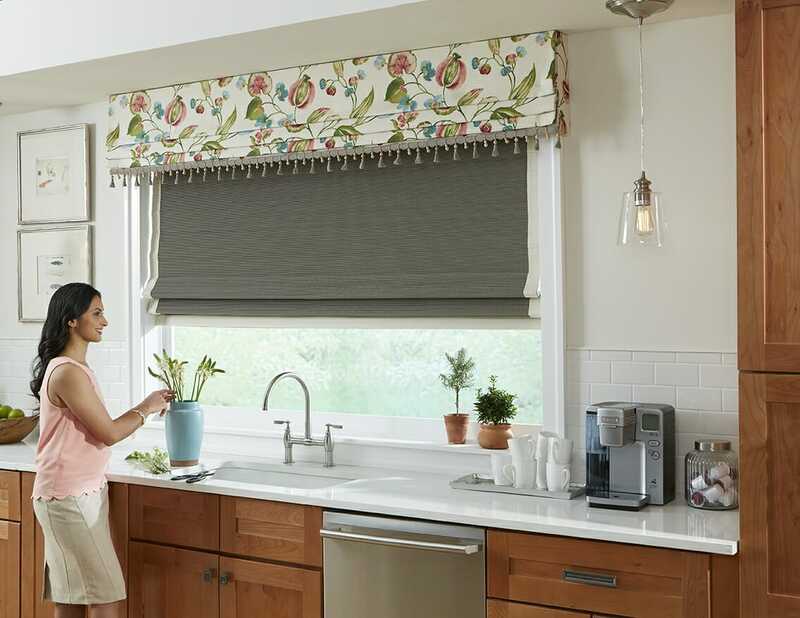 The best window treatments for the kitchens are designed with durable materials & stain-resistant fabrics that can easily be cleaned to remove those pesky specks of spaghetti sauce from last Sunday’s dinner. Considering how many odors, temperature changes, and cleaning goes on in this room, you should carefully consider which window coverings you'd like for your kitchen. And of course, we're always here to help! 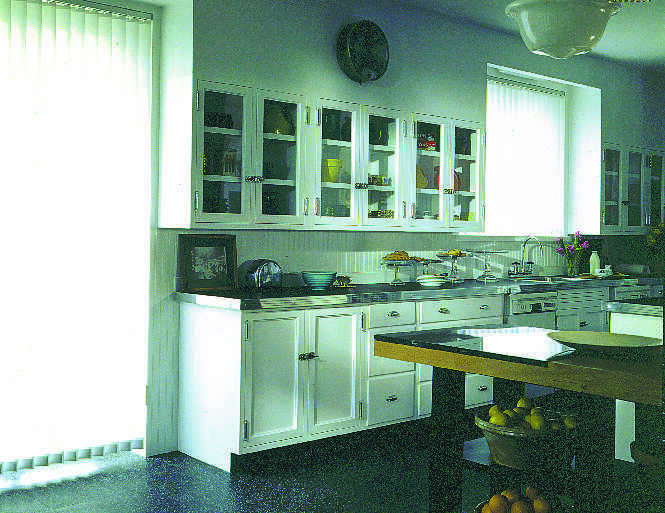 Durability is of the utmost important when selecting a kitchen window covering. 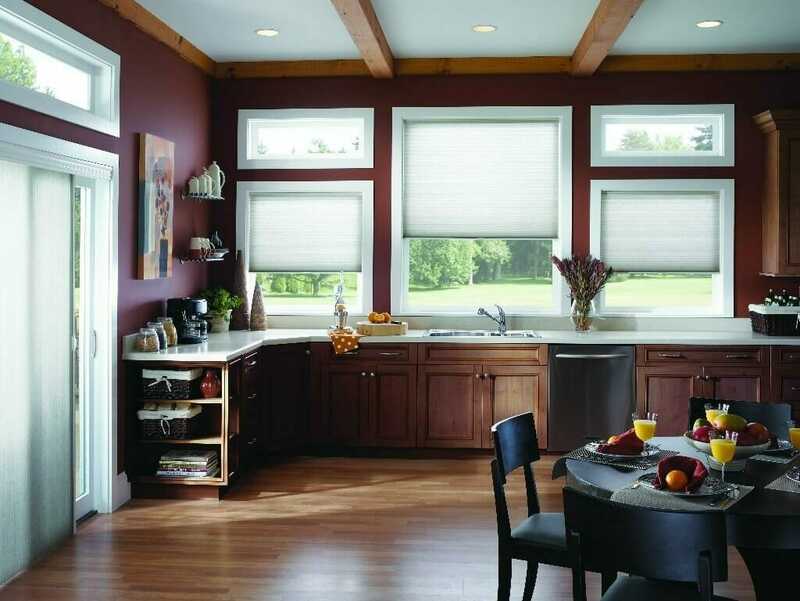 The window coverings in your kitchen will be exposed to more stains, moisture, and heat than any room in your home. 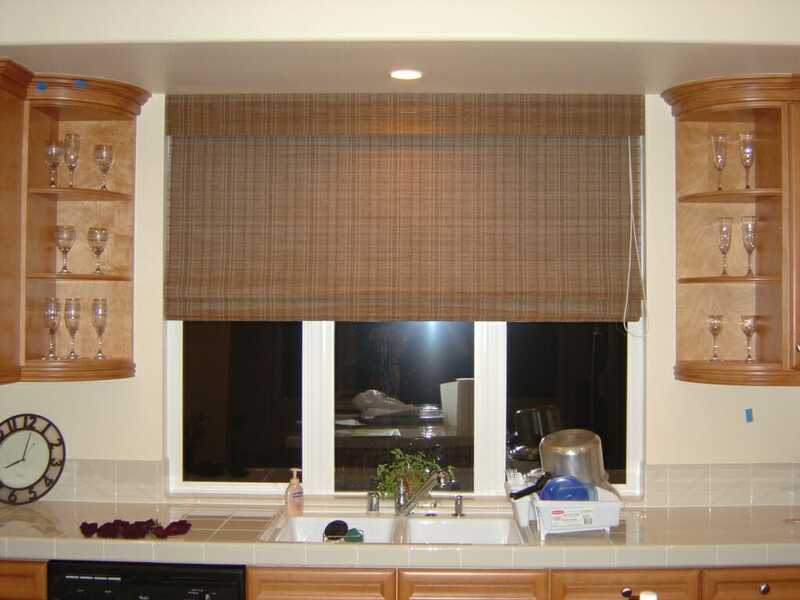 The most common window covering for the kitchen is the roller shade because of the ability to bring the shade down while maintaining the ability to see outside. 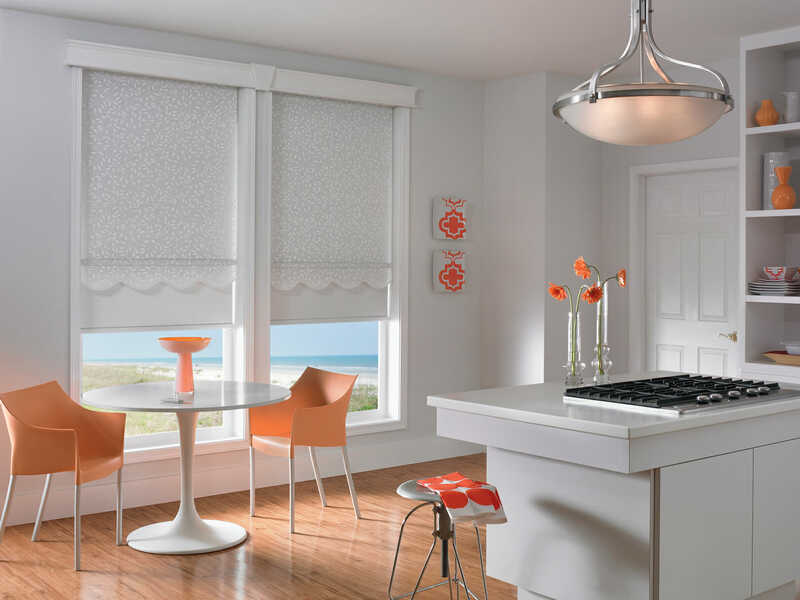 The PVC coating on the roller shade gives it that extra hardiness. Another advantage is that this shade can be concealed under a top treatment when not in use. The kitchen gets dirty and is cleaned more frequently than any other room in the home. Choosing the right materials for your window coverings will allow you to quickly clean those difficult messes on a regular basis. 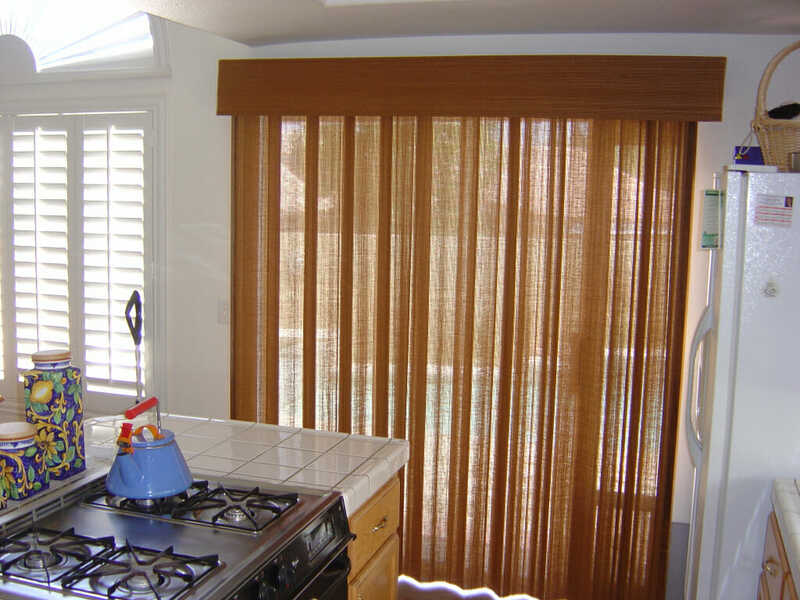 While draperies are normally low maintenance for cleaning in a low traffic area, if you put them in the kitchen they may absorb odors and require more maintenance than, say, an easy to wipe-off shutter. 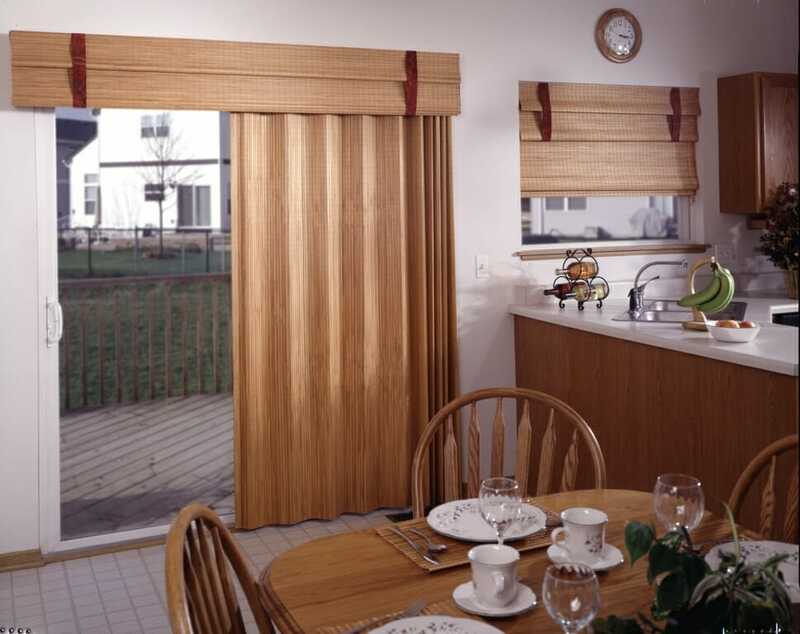 If you are imagining wood as your material of choice, faux wood blinds are a great non-warping option that can be customized to match the appearance of your cabinets. 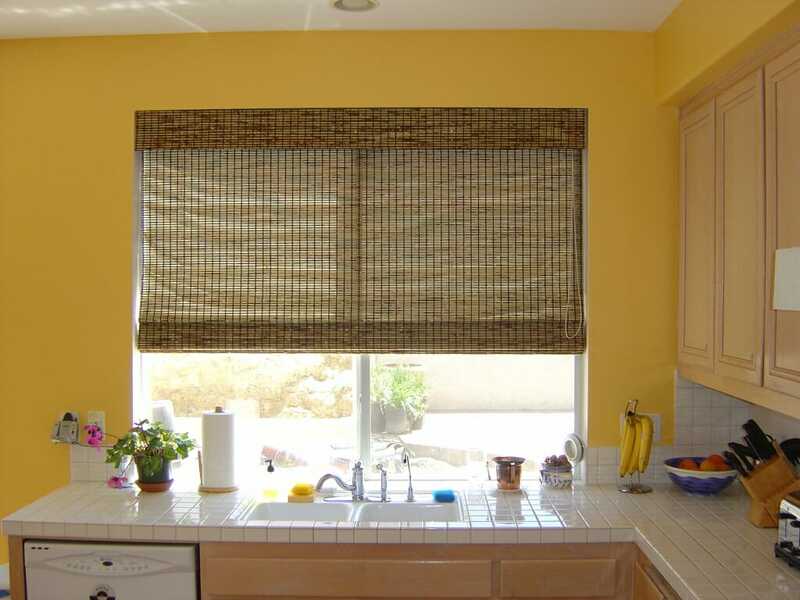 Less common but easy to clean options are cellular shades and aluminum blinds. The kitchen is the most frequented room. If you are standing in the kitchen washing dishes, cooking, or entertaining, you will need extra protection from the sun. Tinted window films protect your furniture and your hard-working self from the harmful sun rays as well as peering neighbors eyes. The kitchen is one of the first places that you go when you wake up early in the morning or go to bed. As you don’t want your neighbors to see you in these intimate moments, choose a covering with some opacity. 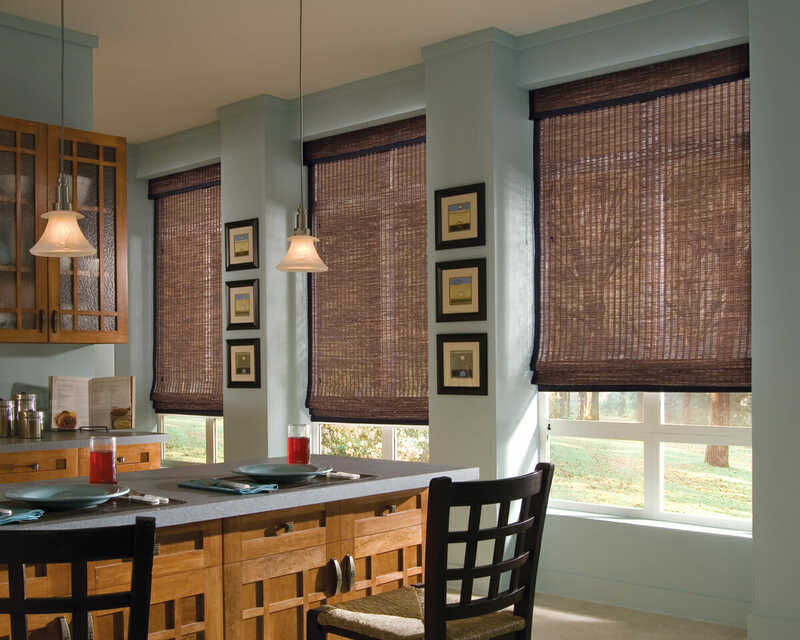 Sheer shades with light filtering options are one example of a window covering that can create that much-needed privacy while still allowing light in the room to brighten your day. You definitely don’t want to be fiddling with opening the windows when you have a ton of activity in the kitchen, especially if the window is above a sink or stove. If your windows are in hard to reach areas it’s a great idea to motorize the blinds for simple accessibility to reduce stress! For all the functionality of this room, don’t forget to add that extra pizzazz to attract guests or start conversations. There are so many custom options to match any type of décor, but the most popular accent is often a decorative soft treatment that can be used to conceal a shade. 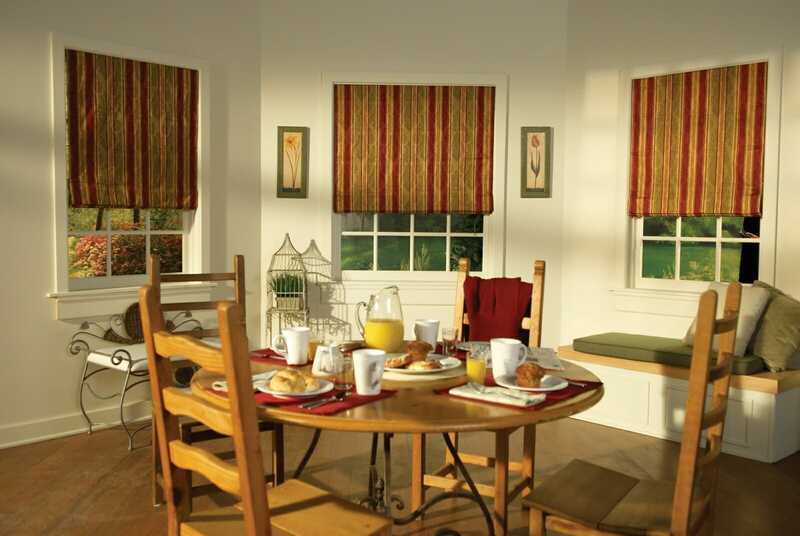 Kitchens are often sterile environments, so selecting an elegant cornice box or valance can add style and warmth.